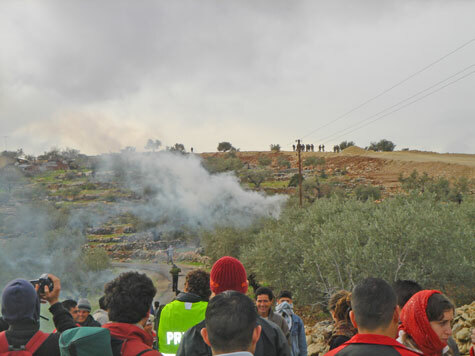 The weekly non-violent protests against the Israelis Apartheid wall continued yesterday, when Palestinians from the village of Bil’in displayed their resistence to the ongoing theft of their village’s land. 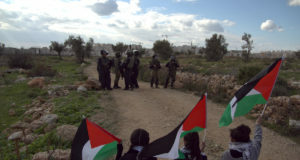 Accompanied by international and Israeli activists, the crowd of approximately 100 people marched to the construction site where the Apartheid Wall is gradually cutting off the village from much of its land. 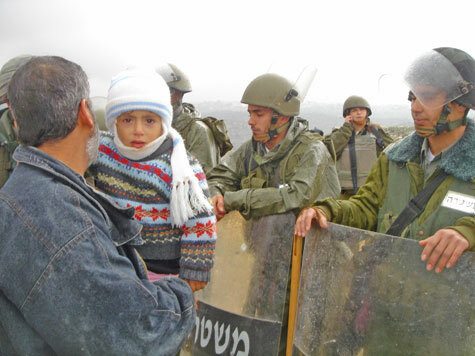 At least 50 IOF and Israeli Border Police were on hand to prevent the demonstrators from crossing the barrier and reching the recently established “Centre for Joint Struggle” adjacent to the illegal settlement outpost of Metityahu Mizrah. Early into the demonstration, the IOF began shooting tear gas canisters from their rifles directly at the Palestinian, Israeli and International activists, hitting one international in the leg. Later on, and without any provocation, the soldiers and Israeli Border Police attacked the crowd and detained one Palestinian man with an umbrella in his hand. The soldiers then used the Palestinian man as a bargaining chip, saying that he would be released if the demonstration ended. 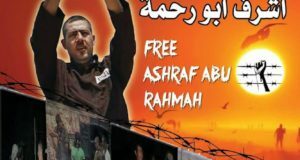 A Palestinian detainee can be kept in custody for up to six months without charges, so this vulgar display of arbitrary force from the IOF soldiers eventually caused the demonstration to recede. 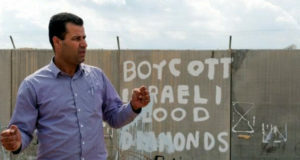 Approximately half of Bil’in’s lands are being isolated from the village by the Wall. The Israeli government argues that the route of the wall in Bil’in was determined purely for security reasons. However, a brief visit to the village shows this to be false. 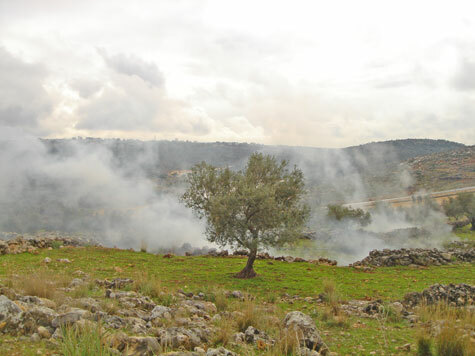 The olive groves were in a cloud of teargas, and soldiers fired rubber-coated metal bullets at will while the demonstrators started to walk back towards the village. It seems that when faced with non-violent protest, the IOF has no interest in any response other than indiscrimminate violence.